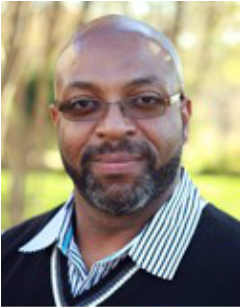 ﻿Richard Taylor serves as a Church Planting Associate. Before coming to the SBTC, he most recently served as the Director of Evangelism and Ministry for the Baptist Convention of New York. Richard preaches revivals, leads workshops, seminars, and conferences on evangelism and strategy development for churches and other organizations. He is an effective communicator who challenges and helps people move beyond mediocrity. He has a great passion and burden for reaching and ministering to men and teens. His life's purpose is: Developing hearts and minds by the Word of God; Being Strong in Scripture; Persistent in Prayer; Engaged in Evangelism; and Committed to Christ. Richard received educational training from Texas A & I University, New Orleans Baptist Theological Seminary and over 20 years of service in various ministry and denominational positions. Originally from Corpus Christi, Richard and his wife of 16 years currently live in Grapevine.